As part of Carlson Rezidor’s responsible business programme with special focus on sustainability actions in September 2017, a number of Radisson Blu hotels have had the option to participate in the “Blu Planet Housekeeping” initiative. Did you know that water covers more than 70% of our planet, but only 1% of it is actually drinkable? This means that the hospitality sector has to be as responsible as possible about its water usage. And that is why Radisson Blu hotels are focusing on preserving water through water mindfulness as part of the Responsible Business Action Month in September each year. 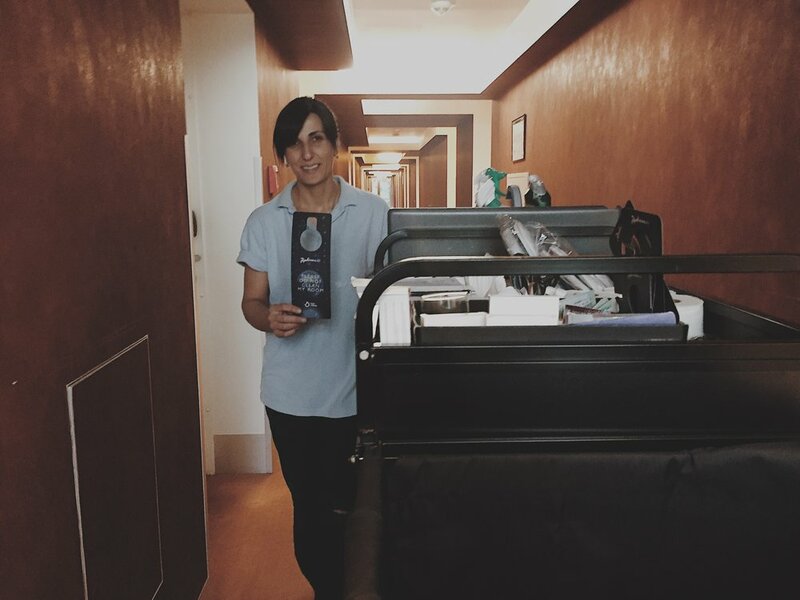 In September 2017, Radisson Blu launched the “Blu Planet Housekeeping” initiative. This is a housekeeping-bypass programme, designed to help conserve resources like water and energy but also resulting in a reduced environmental footprint for the hotels. The pilot has been adopted by more than 60 Radisson Blu hotels with all of the Radisson Blu hotels in the Baltic States as pioneers in this initiative. So how does the scheme work? The idea is that guests accept to forgo the housekeeping service in their room, in return for a charity donation. So, for each night that a guest opts in to the “Blu Planet Housekeeping” initiative, they can request that the hotel, on their behalf, make a donation to Rezidor’s water aid partner, Just a Drop supporting sustainable clean water, sanitation and hygiene projects in Africa, India and Peru.